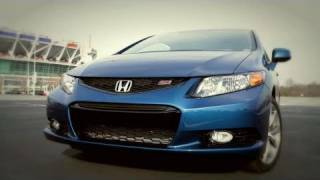 Honda Civic Si Concept coupe 2012 made its world debut at the Detroit Auto Show 2011. The look of the Civic Si Concept coupe conveys an aggressive demeanor with a more angular front fascia, mesh grille and a tapered rear roofline that flows smoothly into the trunk. The Civic Si Concept coupe is exclusively equipped with a rear air diffuser, a center-mounted exhaust outlet and a rear deck lid spoiler with dual vents. 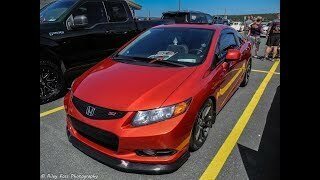 The Honda Civic Si Concept coupe and Civic Concept sedan are making world debuts at the North American International Auto Show today, providing the first official glimpse at the styling direction of the all-new, ninth-generation 2012 model set to go on sale this spring, the company announced. "The Civic is known for providing a balance of 'just-right' packaging, fun-to-drive character and outstanding fuel economy, at a price that even first-time buyers can afford," said John Mendel, executive vice president of sales for American Honda. "The redesigned Civic builds on this legacy and promises to be the best Civic yet." The 2012 Civic embraces the company's vision as a "Civic for all people," a phrase originally expressed in defining the goal of the first-generation Civic. 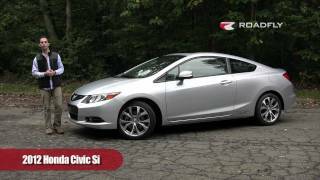 With the widest array of engine choices available in its class, the 2012 Civic lineup intends to meet the needs of an increasing group of compact-vehicle buyers with a renewed vision of a "Civic for all people." 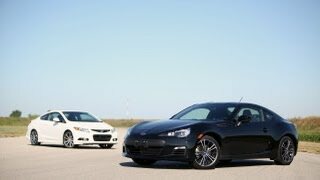 The diverse vehicle range includes a sedan and a coupe with conventional gasoline models, two sporty "Si" performance versions, along with one hybrid and a natural gas alternative-fuel variant. Collectively the depth of the Civic line offers a compelling balance between fuel economy, low emissions and fun-to-drive performance unlike any other vehicle in the industry. As a new interpretation of the current Civic's iconic "one-motion" mono-form shape, the upcoming, ninth-generation Civic conveys a more substantial, high-energy appearance. The exterior styling of both Civic concept models showcases the sedan's and coupe's clean-yet-powerful lines with steeply raked windshields, wide stances and pronounced character lines along the profile. The lower character line on both models broadens toward the rear fenders to enhance the dynamic feeling of forward energy. The front fender surface treatments form a complex, three-dimensional look to further enhance the image of sophistication and structural depth against the deeply set headlights. The Civic Concept sedan takes on a sophisticated presence with a front grille defined by crisp lines and a solid bar that integrates a chrome Honda emblem. The look of the Civic Si Concept coupe conveys an aggressive demeanor with a more angular front fascia, mesh grille and a tapered rear roofline that flows smoothly into the trunk. The Civic Si Concept coupe is exclusively equipped with a rear air diffuser, a center-mounted exhaust outlet and a rear deck lid spoiler with dual vents. Each concept model has 19-inch machined alloy wheels. The Civic's family of engines with "intelligent" Variable Valve Timing and Lift Electronic Control (i-VTEC®) technology become even more fuel efficient for 2012. The upcoming Civic Hybrid offers the latest generation of the compact and lightweight Integrated Motor Assist™ (IMA™) gasoline-electric hybrid system and features the first application of a lithium-ion battery in a Honda hybrid. Building on its emphasis on fuel-economy, most upcoming Civic models receive Honda Eco Assist™ technology, already available in the CR-Z and Insight hybrids. The 2012 Civic is the first U.S. Honda model to employ Eco Assist technology in a gasoline-only powered vehicle. Eco Assist is just one example of how the new Civic can be customized and configured by the drivers to suit individual preferences. Additionally, Honda is expanding retail sales of the natural gas-powered Civic GX model, which is the only OEM-built, dedicated CNG passenger car assembled in America. The increased availability of the Civic GX helps bring inherently clean-burning natural gas technology to an even broader audience while also supporting diversity in transportation energy resources. 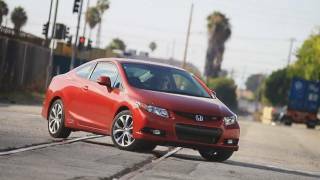 The 2012 Civic continues to emphasize safety and is anticipated to score well in both the federal government's New Car Assessment Program1 (NCAP) and the Insurance Institute for Highway Safety2 (IIHS) vehicle evaluations. The 2001 Honda Civic Coupe was one of the first two passenger cars ever to earn the federal government's top 5-star crash safety rating3 for the driver and front- and rear-seat passengers in both frontal and side-impact crash tests. All 2012 Civics are equipped with Vehicle Stability Assist™ (VSA®) as standard equipment. Additionally, the ninth-generation Civic continues to provide Honda's exclusive and innovative Advanced Compatibility Engineering™ (ACE™) body structure for frontal collision energy management. As a top-selling model for Honda, the current, eighth-generation Civic has sold more than 1.5 million units since the 2006 model went on sale in late 2005. The 2006 Civic earned both the prestigious Motor Trend "Car of the Year" and the North American Car of the Year awards. The current-generation Civic continues to be a significant entry-point to the Honda brand for younger buyers, introducing on average more than 90,000 new-car customers under the age of 35 to the brand every year. More than 95 percent of all Civics sold in the U.S. as of calendar-year 2010 were made4 in North America at manufacturing facilities in either Greensburg, Indiana or Alliston, Ontario in Canada.